Implicit bias, what exactly is it and how might it present itself in your life? Do you look past differences to see possibility? Perhaps you have a preconceived idea about a child that inhibits them being the best that they can be. Exploring these and other questions about bias and inclusivity and the strategies to address these issues will be covered in this webinar. In this webinar participants will be able to: (a) define and explain the science of implicit bias; (b) discuss the empirically-based challenges of implicit biases in their respective settings; and (c) identify strategies that could address implicit biases. Dr. Milton A. Fuentes received his MA in Psychology with a Latina/o Psychology focus from Montclair State University and his Psy.D. in clinical psychology from the Graduate School of Applied and Professional Psychology at Rutgers University. He completed a pre-doctoral fellowship in clinical and community psychology at Yale University and secured post-doctoral training in epidemiology at Columbia University. He is the 2012 President of the National Latina/o Psychological Association; a former member of the American Psychological Association (APA)’s Committee on Ethnic Minority Affairs; and a current ethnic minority delegate to APA’s Council of Representatives. 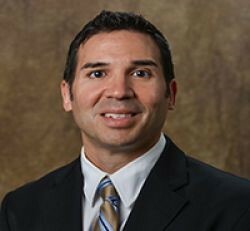 Dr. Fuentes is currently a professor in the psychology department, director of the Research Academy for University Learning at Montclair State University, and is licensed to practice psychology in New Jersey and New York.